The Museum is moving forward with community based displays, programs and special events. Visit our museum and see for yourself....We are also digitizing our history. Operating Hours: Tuesday & Thursday, 9 a.m. to 2 p.m. / First and third Saturday from 12 noon until 3 p.m.
- See our Tour the Museum link for specific times and dates. We offer packages for parties, special events, celebrations and group tours. We're celebrating our amazing community and its heritage at the Tustin Area Historical Society's 23rd Annual Old Town Tustin Home and Garden Tour, Walkin' and Rockin' Thru Old Town Tustin, on Saturday, May 4, 2019 . You will enjoy strolling through old Tustin and viewing how homeowners have turned their vintage homes and gardens into modern day living spaces while maintaining the charm of yesteryear. Each home has a unique story, interesting decor and artifacts collected by the owners. Advance sale (discounted) tickets are now on sale. Purchase your tickets safely online. 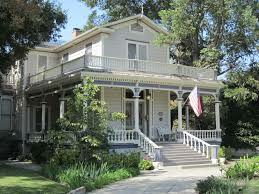 Tustin Area Historical Society April 2nd - May 9th . a spike of gold was the brainchild of David Hewes. His home on Main Street will be one of our featured homes. - Museum Classes on preserving and protecting historical items. Every website has it's own way of searching for information. The Tustin News starting with 1922 through 2000. Search papers from the 1700s-2000s. Working with Classmates we have digitied our high school year books. World's largest online family history resource. a year and are tax-deductible.